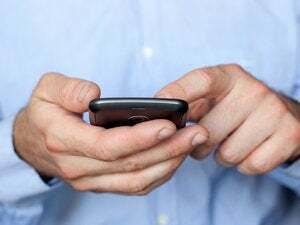 The U.S. Federal Communications Commission has launched two inquiries examining the mobile-phone industry, with the agency looking for ways to spur innovation and competition in the industry. The FCC will look for ways it can stimulate innovation and competition in the mobile industry, said FCC Chairman Julius Genachowski. The wide-ranging notices of inquiry the FCC opened Thursday seek information on ways to improve mobile innovation and competition, including ways mobile networks can aid the health care and energy industries, and ways the FCC can promote better use of wireless spectrum, the FCC said. Genachowski and the two other Democrats on the commission suggested they'd like to see more innovation and competition in the mobile industry. "The wireless industry deserves recognition and credit for how much it has accomplished," said fellow Democrat Michael Copps. "But mark me down as one who believes we have only glimpsed the beginning. Much more is coming. How much more depends, in significant measure, on our country's success in encouraging wireless innovation." Studying competition is important because competition drives innovation, Genachowski said. "We are at a pivotal moment in the history of the mobile industry." he said. "We are transitioning from a voice-centric world to a world of ubiquitous, mobile Internet access. This transition promises to increase the pace of innovation and investment, but only if we have an open and competitive marketplace that gives every great idea a chance to make its way to consumers so that the best products or services win." But the commission's two Republicans questioned whether the FCC should get significantly involved in pushing for more innovation and competition. Ninety-four percent of U.S. residents have at least four mobile carriers to choose from, said Commissioner Robert McDowell. Over the past seven years, the mobile-phone industry has invested an average of US$22.8 billion a year to update networks and provide broadband services, added Republican Commissioner Meredith Attwell Baker. "We stand on the verge of the next generation of wireless broadband products, and the government should proceed with great caution so as to ensure the best outcome for consumers," she said. The two notices of inquiry targeting the mobile industry were among three that the FCC launched Thursday, with the third focused on the billing practices of a wide range of communications providers. A notice of inquiry, or NOI, is a first step the FCC takes toward potentially creating new policy. In an NOI, the FCC asks interested parties to submit comments on issues the agency is examining. In the billing inquiry, Democratic commissioners said customers of communications services, including mobile-phone plans and so-called triple-play telecom services, are still too often confused by their bills. Complaints to the FCC about communications billing practices rose 47 percent between 2007 and 2008, the FCC said. CTIA, a trade group representing mobile carriers, said it looks forward to sharing information with the FCC related to the three inquiries. U.S. mobile-phone customers have access to the fastest wireless networks, with the lowest price per minute among 26 countries tracked in a Merrill Lynch survey, CTIA President and CEO Steve Largent said in a statement. The U.S. also has the "least concentrated wireless market on the planet," Largent added. "The wireless ecosystem -- from carriers, to handset manufacturers, to network providers, to operating system providers, to application developers -- is evolving before our eyes and this is not the same market that it was even three years ago. In this industry, innovation is everywhere." Public Knowledge, a consumer rights group, praised the FCC for its new inquiries. "For too long, the appearance of competition among a few carriers has masked underlying anti-competitive industry practices ranging from consumer contracts to roaming agreements," Public Knowledge President and Gigi Sohn said in a statement.